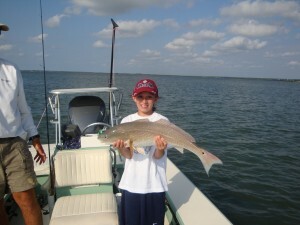 I wanted to let you know that Joseph and I had a great time fishing. It was the highlight of our trip. 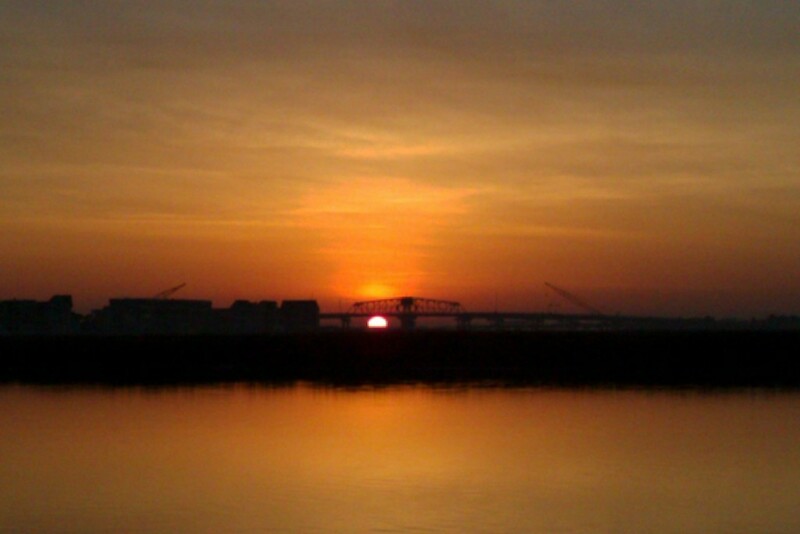 We will definitely be calling you the next time we head to Charleston. 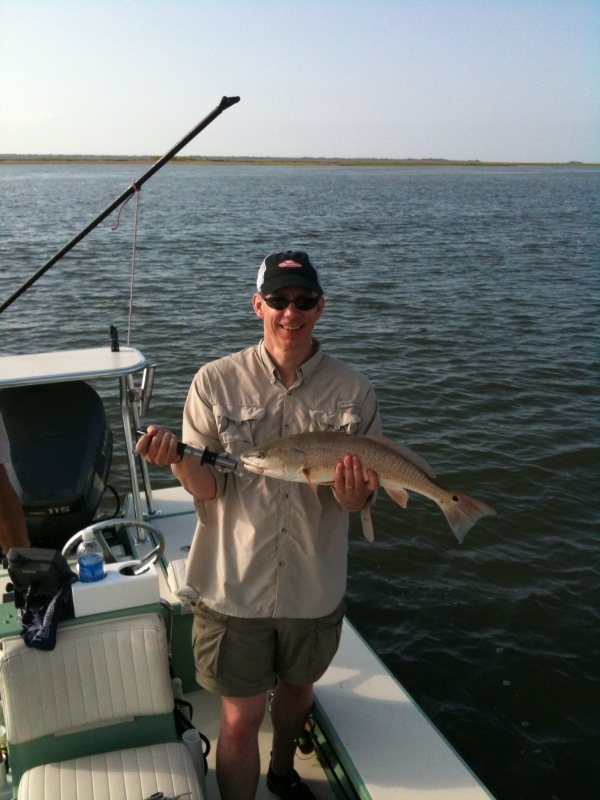 Legare, here a picture of the 8# 30″ red that Erin caught when she and I went fishing with you. I appreciate all that you did to make sure that she had a quality experience. We both had a great time. If we get back down to Charleston, We’ll look you up. 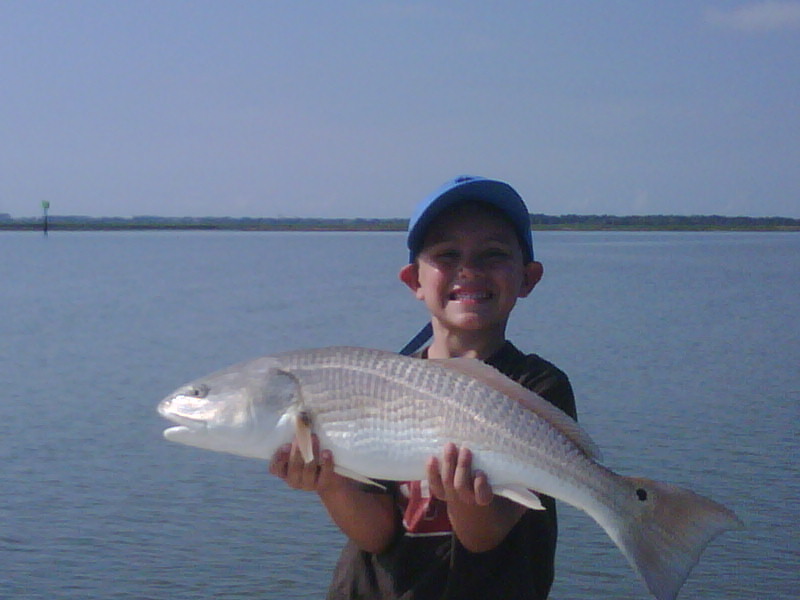 After sunrise, the redfish awoke and were surprisingly hungry. 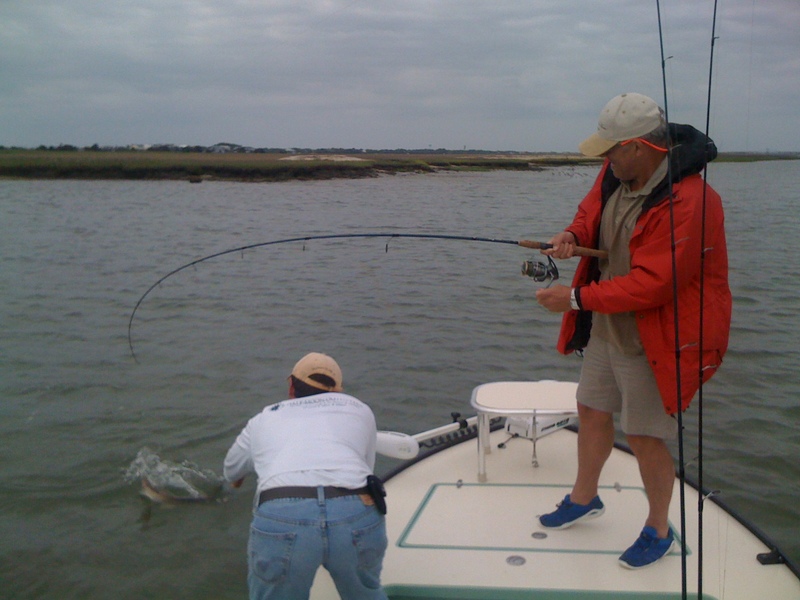 Against the odds, the redfish bite turned on and both anglers stayed busy for nearly 2 hours. 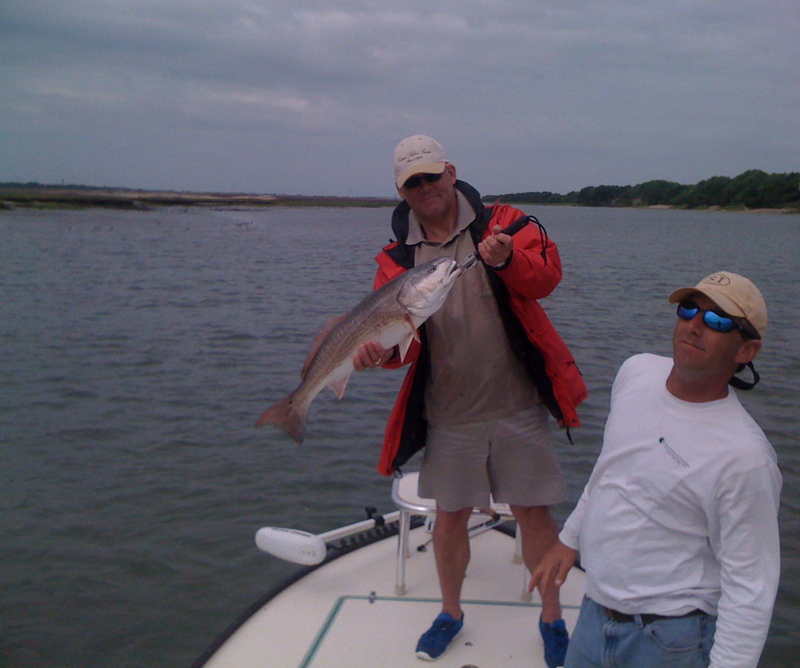 The action was so good I didn’t have a chance to take pictures and everybody lost count of how many redfish we landed and lost – call it a baker’s dozen. 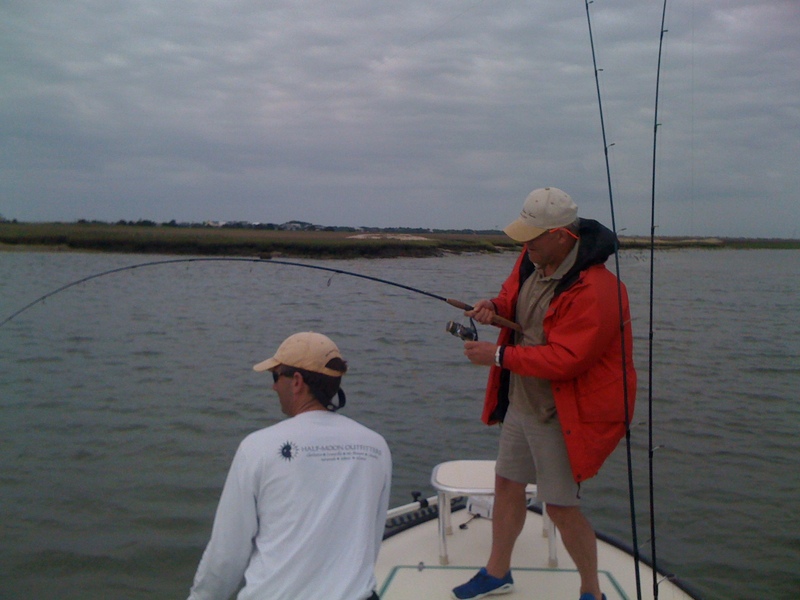 Generally, most anglers and fishing guides in Charleston avoid being on the water on big holiday weekends. Memorial Weekend is well-known for insane boat traffic and less than optimal fishing conditions. 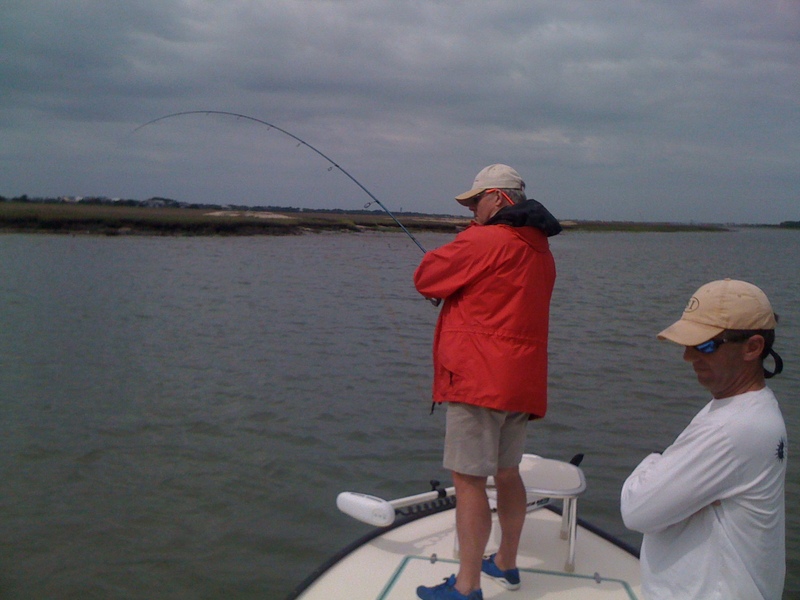 Last week’s flood tides made this Memorial Weekend perfect for spending time with the family on land. 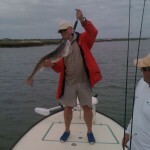 Against my advice, I took some diehard clients on a fishing charter early Sunday morning. 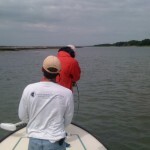 Fortunately, the clients were willing to leave the Isle of Palms Marina at 5:30 AM allowing us time to travel up the Intracostal Waterway by moonlight to our first destination 20 minutes north of IOP. Although the moonlight helped me navigate in the dark it also allowed the redfish to eat through the night further decreasing our chances of encountering nonstop action. We found an unnamed flat protected by marsh grasses and a labyrinth of oyster beds near Copahee Sound where the redfish likely took refugee from the heavy boat traffic. 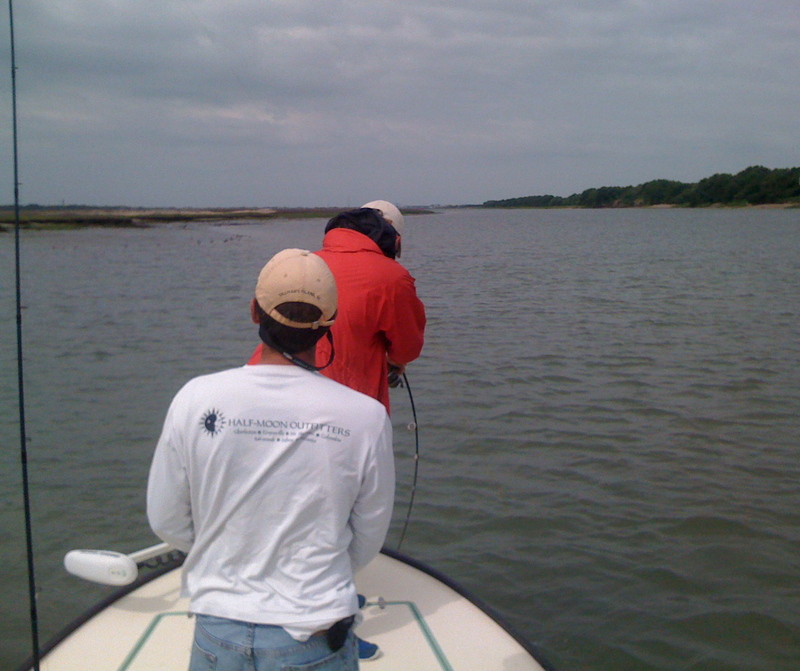 Before first light we started casting live shrimp and mud minnows under weighted floats to schools of reds. I think we all had a that sinking gut feeling of getting skunked after no bites the first hour. 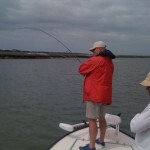 About 3 hours prior to high tide the bite turned off as suddenly as it turned on in the flats. 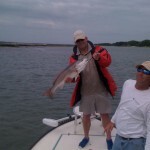 We had enough time to catch a few bonus fish around Bulls Bay before calling it a day. 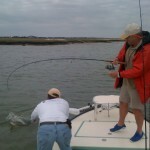 Two more reds and a 14″ seatrout were landed before the fish moved into the grass at slack tide. 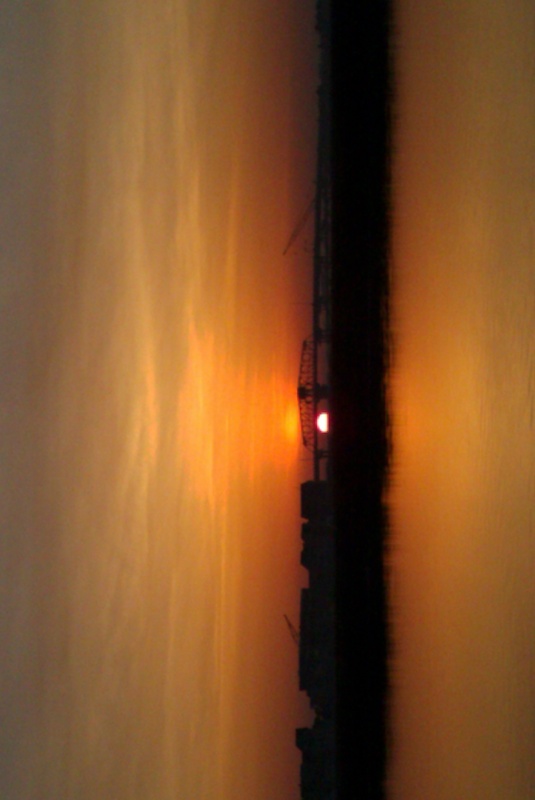 The moderately paced action was actually a good thing because it gave me a chance to take the one picture below. The unofficial count for the day: 14 redfish in the slot+ size range, 1 keeper size seatrout, 10 hookups that either broke the line or spit out the hook. 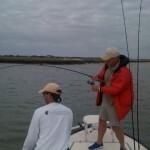 A great day with ideal fishing conditions. One of the last redfish landed. 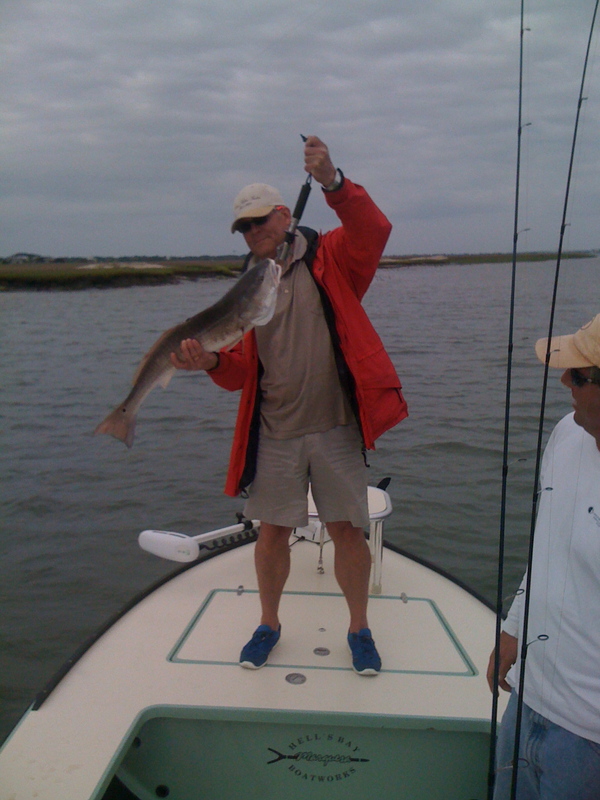 Too much action to photograph the first 13 reds caught that morning.